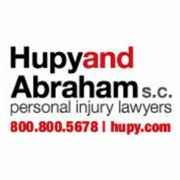 If you're looking for an attorney, hiring a law firm with decades of experience satisfying thousands of clients and recovering millions of dollars for their injuries and suffering is a great idea - and Hupy and Abraham is all of those things! For decades, motorcyclists, drivers, and patients have turned to us to help them recover from serious accidents and devastating injuries that have threatened to derail their lives. We proudly serve the residents of Wisconsin, Illinois, and Iowa!